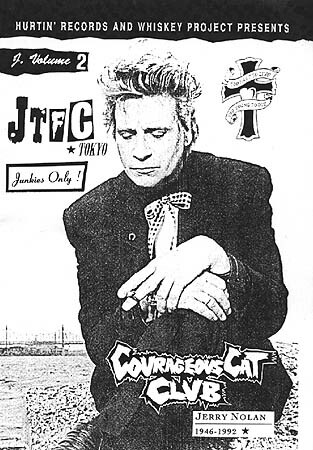 Hiroshi "The Golden Arm" and Joe Alcohol put out this Japanese fanzine dedicated to Johnny Thunders. Issue #2 is now out and you can order yours at the address listed below. This issue has Jerry Nolan on the cover and is about 30 pages long. The text is all in Japanese with some song lyrics printed in English. There are plenty of black and white photographs and several illustrations. It's a nice little booklet and my only wish is that there was an English translation.